During the summer of 2016 we had a profession poet, Neal Zetter, visit our school. He worked with all the children to create poems about our school. We’ve had many issues printing them, however we have finally published the poems in our very first Suttons Primary Poetry Book. Please note that only children who attended the school in June 2016 will have their work published in the book. If you would like to purchase this book it will cost you £3.50. This will cover the cost of printing. Please go to the office to order your copy. The orders will need to be in school by Wednesday 4th July in order for us to have them printed and returned by the end of the school year. It’s a wonderful memento of your child’s work at primary school. Your children have had a chance to look at these in school but if you would like to take a look, there will be one copy to look at in the office. 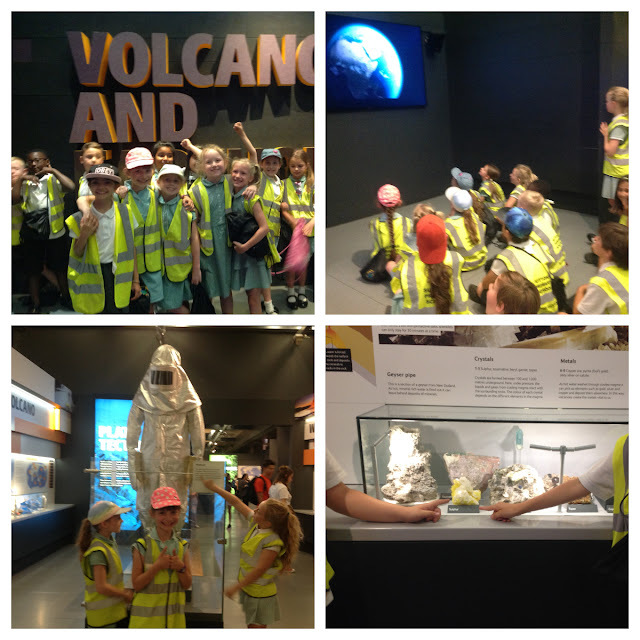 Despite the heat, Year 3 thoroughly enjoyed their trip today to the Natural History Museum to learn about Volcanoes and Earthquakes. Year 3 enjoyed learning about eating healthy in the workshop yesterday. 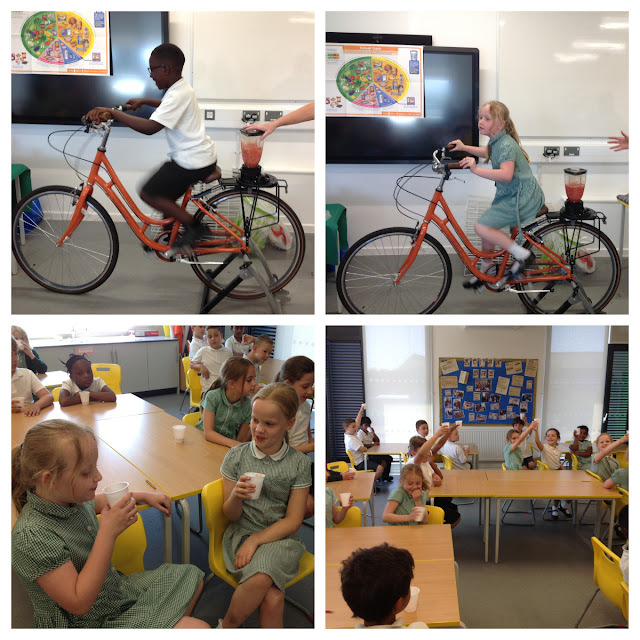 They especially enjoyed the smoothies they made then got to taste. We urgently need parent helpers for the school summer fair next Friday (28th June). We particularly need helpers who are free from 1pm onwards to help set up the stalls and other activities. If you have some free time and are willing to help, please come and see Mrs Lacey, Monday morning, where year 3/4 line up. Year 1MS - Shape Hunt! Year 1 recapped over their knowledge of 3D shapes. Do you know what a cube is? A cylinder? A sphere? We put our knowledge to the test by hunting for these 3D shapes in the playground. The children searched very well and were able to find examples of the different 3D shapes. 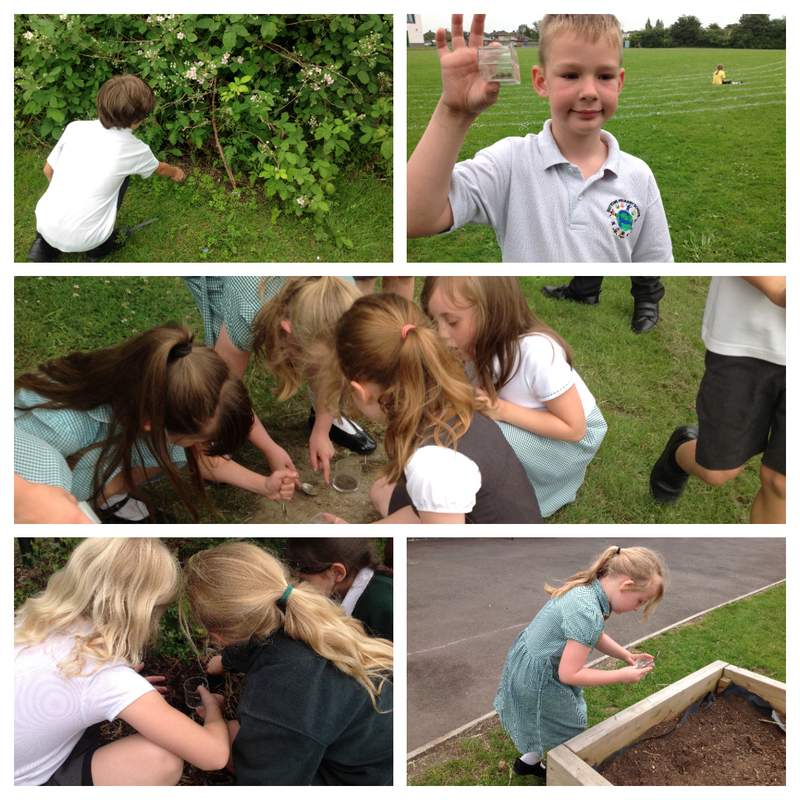 As part of science week, Year 3 also went exploring around the school grounds looking for different types of soil. 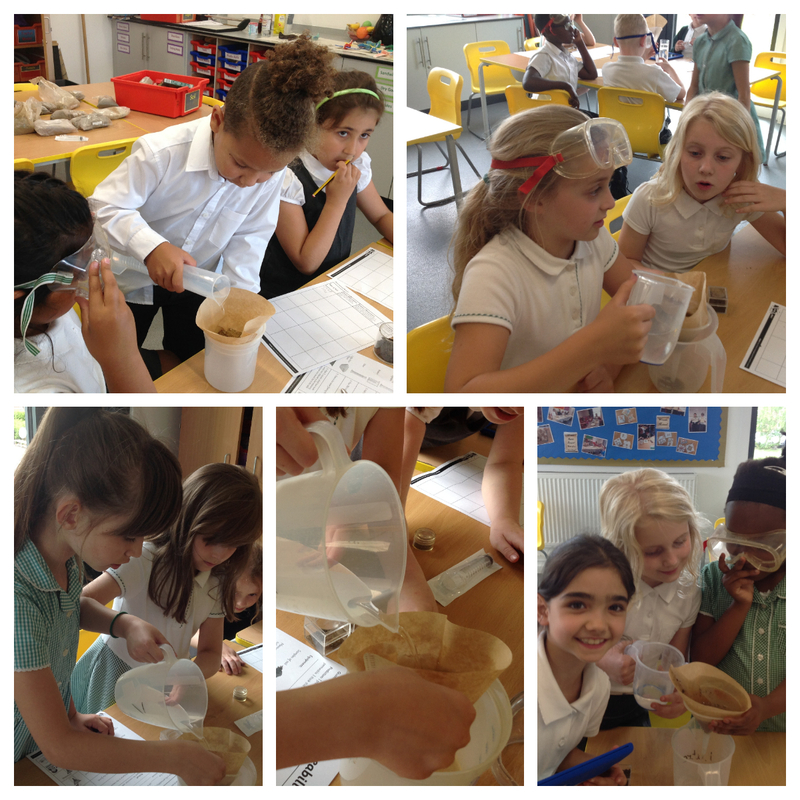 We then returned to class and tested their permeability. Yesterday Nursery and Pre-Nursery children had a great time participating in their Sports Day. They really impressed their teachers and family members who came to watch with their amazing efforts. Then they showed off their ability to move about freely with some running and skipping races! And finally a parade to acknowledge their supporters followed by a cooling treat in class. Our annual sports day took place on Wednesday 20th June. 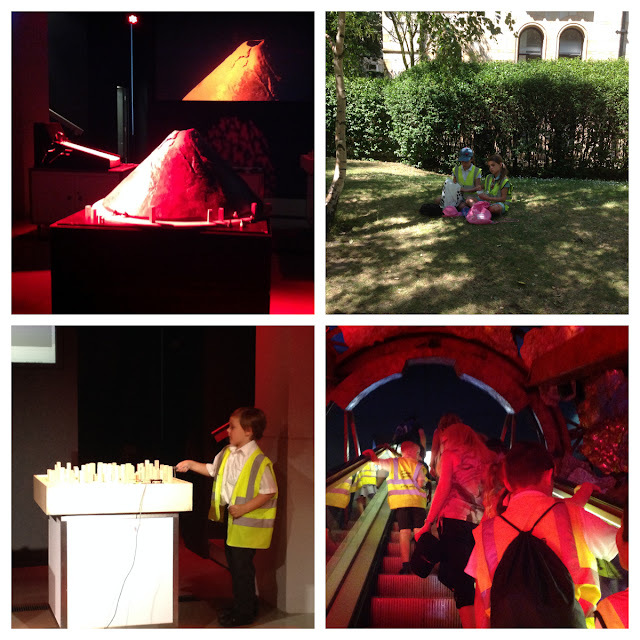 The children and staff enjoyed the day. Year 1MS - Turn around. Which Way? Maths Week in Year 3!